Don’t let plumbing problems take up any more of your time. 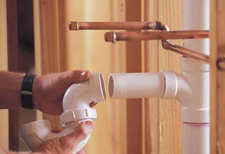 We here at Larry & Sons, Inc. know how much you depend on your home plumbing system every day. That’s why we offer our comprehensive services to install, maintain and repair your home plumbing. Larry & Sons wants to make sure that your plumbing system is there for you when you need it the most. If you need professional plumbing installation in your future home, you can trust Larry & Sons to get the job done. Not only do we offer installation services, but our expert professionals can replace your old plumbing systems in your current home quickly and efficiently. Larry & Sons ensures that your new home plumbing system will work like a charm, with our high-quality materials and modern equipment. When you’re having problems with your home plumbing system, Larry & Sons will be able to tell you if you need a full replacement or simply a repair. 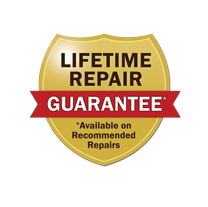 With our comprehensive repair and maintenance services, Larry & Sons provides regular maintenance visits and emergency plumbing repairs 24/7. We work with our customers to give you the best quality professional plumbing repair services at a time that is convenient for you. If you’re thinking about taking on a kitchen or bathroom remodeling project, Larry & Sons is here to help. These large-scale remodels are often complicated and require professionals to get the job done right and to avoid issues down the road. Our experienced professionals will work closely with you to realize your vision for your new kitchen or bathroom. We’ll be there every step of the way to make sure that your remodeling project is a success. Larry & Sons is a trusted name in plumbing services serving the greater Hagerstown area. It’s always a hassle when something goes wrong with your plumbing. That’s why we’re here for you when you need qualified and trustworthy professionals to install, replace, or repair your home plumbing system. Our skilled experts work on a variety of plumbing issues and use advanced diagnostic equipment to find problems at their source and fix them fast. Next time you have a plumbing problem or emergency, call Larry & Sons for a quick and long-lasting solution.